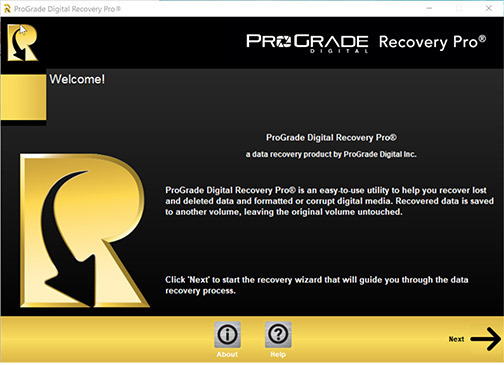 San Jose, CA—ProGrade Digital introduced Recovery Pro. The professional-grade software assists with recovery of photo and video files that are lost, accidentally deleted and/or corrupted. 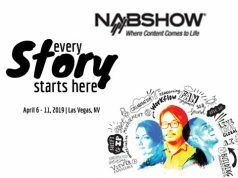 The software is for imaging professionals who produce still, video and cinema-grade 4K–6K, UHD and/or 360º file types. Recovery Pro software recognizes RAW, TIF, JPEG, MJP, MOV, MP4 and other files types produced by DSLR, mirrorless, cinema and video cameras. 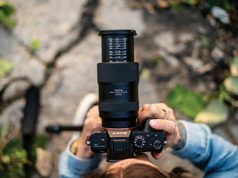 This includes devices from brands such as Canon, DJI, GoPro, Nikon, Sony, Panasonic as well as Fujifilm. 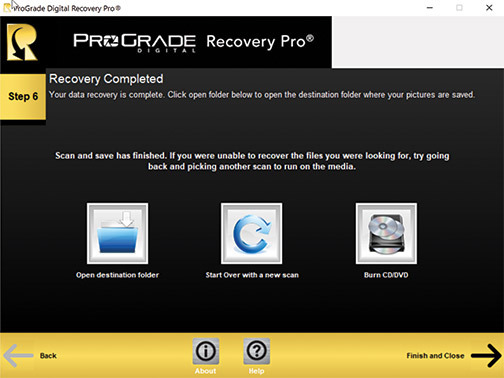 Key features of the ProGrade Digital’s new recovery software include the ability to recover motion file formats, including: MOV; AVI; ASF; MOD; WMV; and MP4. Moreover, it restores photo file formats, including: TIF; CRW; CR2;p DNG; NEF; ORF; SRF; PEF; JPE; BMP; GIF; PNG; as well as most types of RAW files. 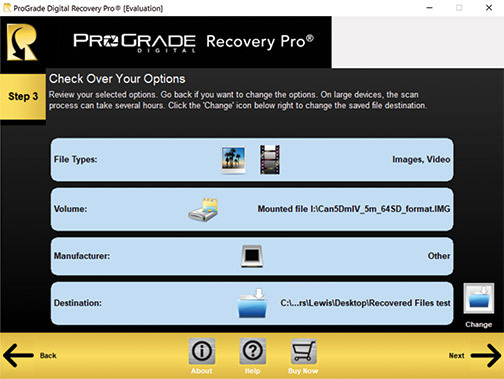 In addition, Recovery Pro recovers more than 90 different audio and video file formats. This includes companion audio file formats embedded within video. Moreover, the software is compatible with CFast, SDXC, microSDHC/XC and CompactFlash memory cards. ProGrade Digital’s recovery software is compatible with Windows 10 and higher as well as Mac OS X. In addition, the company is offering a free “try before you buy” evaluation copy. 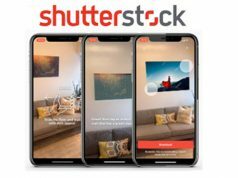 The full software download is $49.99 for a 12-month subscription.